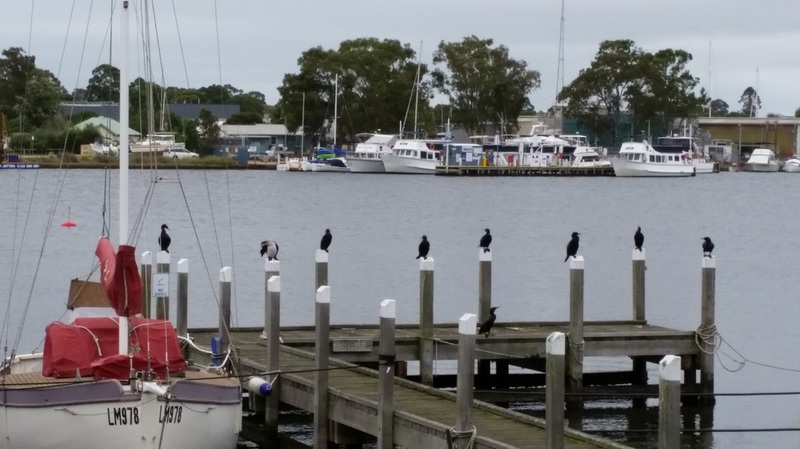 Paynesville, a 5-minute drive, is a lakeside resort town well-known as the "Boating Capital of Victoria". The numerous waterfront shops, cafes and restaurants overlook sandy beaches and grassed picnic areas. Paved pathways, as well as bushwalks, mean you can stroll for kilometres along the lakes and rivers. Take the ferry 300 metres to Raymond Island and enjoy spying on the 500 koalas. Bairnsdale, a 10-minute drive, is the main commercial centre for the Shire's rural community of 40,000 people. As well as shopping facilities comparable to those in any city shopping centre, there are many craft & antique shops, a gourmet deli, galleries, parks, fine restaurants and cafes. From Eagle Point Bluff the silt jetties become a series of long, narrow, winding silt jetties which extend eastwards out into the lake for 8 km. There is a part bitumen/part gravel road all the way to the end, with many favourite fishing spots along the way. The silt was deposited over millions of years when the Mitchell River slowed as it entered Lake King. The jetties are also home to a large range of native animals and birds (more on this below).